We have hosted several middle school and high school teachers in our lab in the recent years as a part of the NSF Research Experiences for Teachers (RET) program. One of our former students Dr. Mustafa Karabiyik diligently helped them to involve his research. As an award, he appeared on NSF’s recent brochure distributed nationwide. 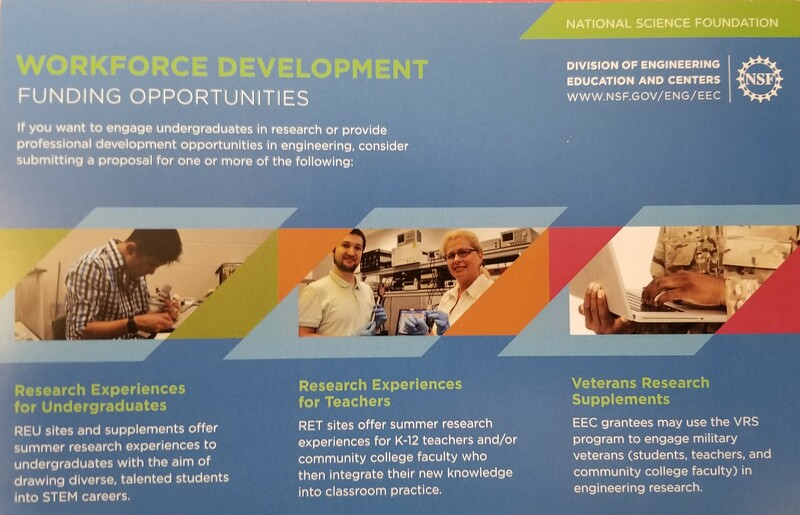 In addition to his several scientific achievements, Dr. Karabiyik has now also a well deserved honor and fame of being the face of NSF RET program. Thank you for all your help Dr. Karabiyik!